**This blog post was sponsored by High Point Market and the brands mentioned here. However, as always, all views are entirely our own! I hope you all had a lovely, long Memorial Day Weekend. We spent ours relaxing, enjoying the sunshine and some quality family time. We’ve also been tending our new vegetable garden, which I am so excited about! Having a garden is something we’ve talked about (and planned for) for years and it’s finally happening! I’ll be writing a blog post about the process soon, so stay tuned. There’s just something about being outside and getting your hands dirty that’s good for the soul – and for inspiration. There are so many other areas from which we draw our inspiration, including discovering new brands … or even new things about brands we already know and love. That’s what we loved so much about being part of the Bloggers Tour at High Point Market this year. Over our last few blog posts (which you can read here and here), we’ve been telling you all about the brands and trends we saw and loved at Market in April. This is the very last post in that series – and we have three more great brands to tell you about. I just love this brand – and I’m not the only one! 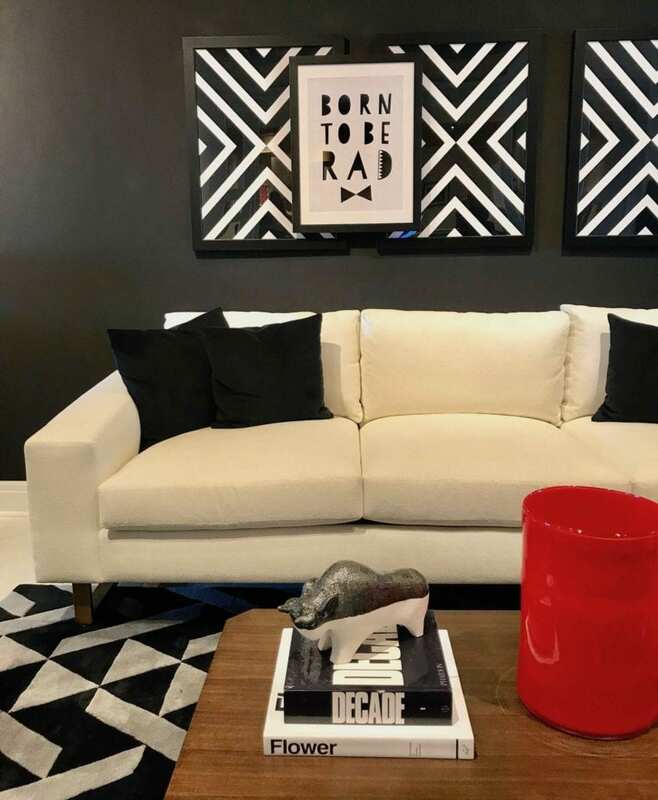 Fantastic interior designers like Mark D. Sikes and even celebrities like Ellen DeGeneres have worked with Heritage Home Group to create product-specific lines for their brand. What I love most about this brand is that they produce heirloom quality, beautiful pieces. Even though they run really large product lines, they’re committed to very high-end quality. No matter what they put out, the quality is always really incredible. Heritage’s brands on display included Thomasville, Henredon and Drexel, and it was so cool to see them team up with Crypton to showcase products made with performance fabrics. Seeing Hudson Valley Lighting (Littman Brands) at Market this year was a real highlight for us, especially for Matt as he continues to design and develop our Iko Iko lighting line. Hudson had hired some hot, young designers and really let them take off and run with the design of their branding showroom. They launched numerous new lights at Market, and you can see some of them in the photos here. It was truly inspiring to see the work of another up-and-coming lighting designer and experience the process – one that is still fairly new to us as we only just started selling products in 2018. It was also really cool to see a larger company support smaller designers and produce some really amazing products in the process. You know we’re all about quality and investing in pieces that are going to stand the tests of time (and busy, modern families). That’s why we love Lloyd Flanders’ outdoor furniture; it’s the perfect mix of tradition and quality. Lloyd Flanders stocks mostly woven pieces, giving its entire collection a really traditional feel. Their furniture is also super comfortable and wears beautifully, so you know it’s something that you’ll be able to keep for years and years and not worry about it wearing out. As you can see in the pictures, they are truly gorgeous pieces. Beauty and durability – you can’t ask for much more than that! We were unfamiliar with Rowe Furniture before Market this year. Though we’d heard of them, we’d never really used their products before. Rowe is really passionate about expression and individuality. They say that if you can’t find something in their collection that speaks to you, they’ll create it for you. We were really impressed by their pieces and excited to finally discover them. Not only is their furniture of great quality, it’s really well-priced – and ahead of the game. This is a brand that’s really on the forefront of what’s happening in the design world, and we’re definitely going to be selling more of their pieces. Modern History was the very last stop on our tour, and what a great place to end. They were so sweet, treating us to hors d’oeuvres, drinks and such a nice experience. Modern History makes gorgeous, high-quality case goods that are true heirloom pieces. Their work is simply beautiful, the perfect mix of modern and timeless. My favorite part of Modern History’s showroom was the display of their amazing art collection – the largest in the world of its kind! It was really cool to see how they paired the art with their case goods. And that’s all for Market Spring 2018! We can’t emphasize enough how much we loved being part of the blogger’s tour and being exposed to such a wealth of knowledge there. Did you enjoy getting a behind-the-scenes look? Tell us in the comments – what brand or trend was your favorite?